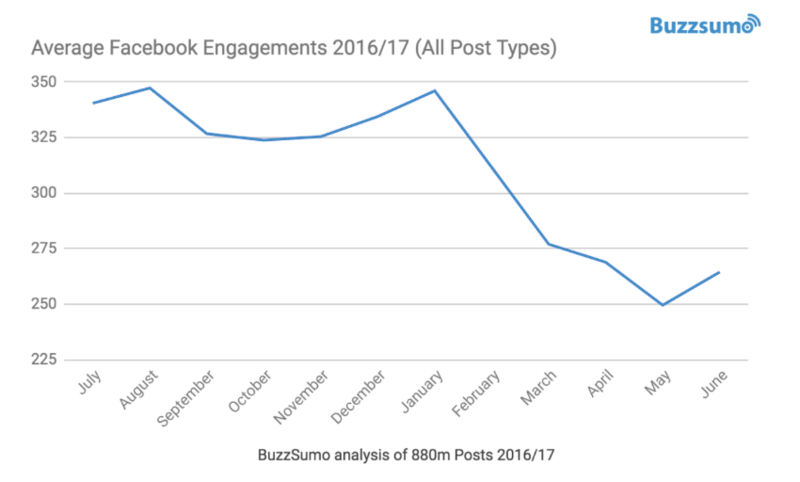 It's not just you and your Page - according to new research by BuzzSumo, the average number of engagements with Facebook posts created by brands and publishers has fallen by more than 20% since January 2017. 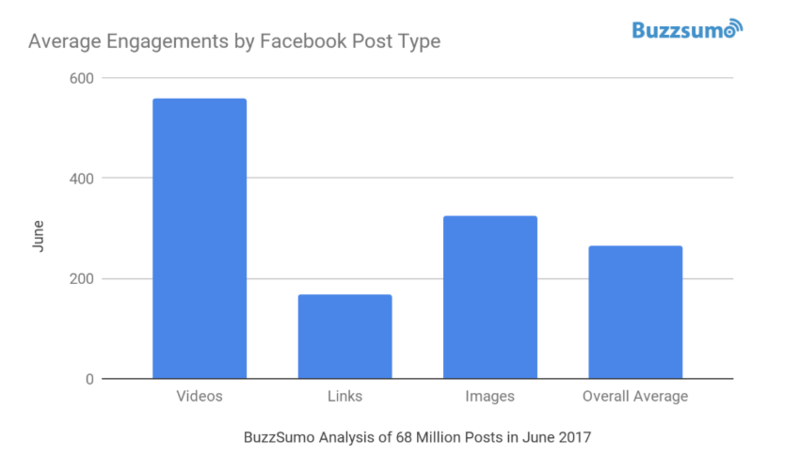 BuzzSumo analyzed more than 880 million Facebook posts from publisher and brand Pages over the past year, noting a clear decline in engagements since early 2017. That's likely no surprise to most Facebook Page managers - organic reach on Facebook has been in decline since late 2013, according to various reports, with continual changes to the News Feed algorithm re-aligning the priority of what users see. And earlier this month, Facebook re-iterated the need for mobile optimization but announcing that links to non-mobile optimized pageswould be penalized. But then again, none of those changes individually correlates to the decline noted by BuzzSumo, which, as you can see, shifts significantly in January. As listed above, the January News feed update focused on 'authentic content' is not likely to have been the cause of this drop - that was more aimed at weeding out posts that artificially seek to game the algorithm by asking for Likes, and on pushing the reach of real-time content. Maybe Facebook's increased focus on live, real-time material has had some impact, but it would seem unlikely that it's the cause of that January drop. What's more likely is actually another News Feed update introduced in June 2016, which put increased emphasis on content posted by friends and family over Page posts. Facebook's always looking to get people sharing more personal updates, and those updates generate more engagement, which keeps people on platform longer, while also providing Facebook with more data to fuel their ad targeting. In terms of News Feed shifts, this one appears to be the most significant of recent times, but then again, the impacts of that would have been evident earlier in BuzzSumo's chart. Maybe Facebook turned up the volume on this update in January? It's obviously impossible to know, and Facebook's doesn't reveal much about the inner workings of their News Feed team. "The biggest fall in engagement was with image posts and link posts. According to the data video posts had the smallest fall in engagement and videos now gain twice the level of engagement of other post formats on average." Again, video is king - if you're concerned about declines in your Facebook reach, then video is where you should be looking. Of course, video posts are also seeing reach declines in line with the overall shift, but they're outperforming all others, and are likely to be your best bet in maximizing your reach on the platform. So what can you do? However you look at it, Facebook is a huge driver of referral traffic for a great many websites, with many now having an established reliance on The Social Network to push their numbers. For one, these figures again underline why putting too much reliance on Facebook is a strategic risk. Diversifying your traffic sources and building your own e-mail list is sometimes easier said than done, particularly given Facebook's scale, but the figures do underline that it's important to consider how you can maximize your opportunities outside of The Social Network. In terms of how to improve your Facebook performance, specifically, there are no definitive answers. Some brands have seen success in posting less often - back in May, Buffer explained that they've been able to triple their Facebook reach while reducing their output by 50%. Less is more is an attractive strategy, but whether that'll work for your business, it's impossible to say. Others have switched to posting more often, something Facebook recommends in their own documentation on how journalists can make best use of the News Feed. "Post frequently - Don't worry about over-posting. The goal of News Feed is to show each person the most relevant story so not all of your posts are guaranteed to show in their Feeds." In fact, Facebook notes that some Pages post up to 80 times per day, which seems excessive, but when you consider both the reach restrictions (less than 5% of your audience will see each of your posts) and the fact that most people will see your content in their News Feed, as opposed to coming to your Facebook Page, the chances of you spamming fans by over-posting or re-posting are far more limited than they used to be. If you post more often, and you get less engagement per post, that could still average out to increasing your overall numbers - though you need to watch your negative feedback measures (unfollows and unlikes). Really, no one has the answers, because it'll be different for each Page, each audience. The only real way to counter such declines is to experiment, to encourage engagement, to spark conversation and generate more reach through interaction. That takes more work, of course, and you then have to match that additional time investment with return. Again, it'll be different for every business, there's no magic formula. But Facebook reach is clearly declining. Worth considering how that impacts your process. To see more stories about threats to our freedoms check out our HOME PAGE. To submit your own story of abuse to your rights visit the Contact US tab.